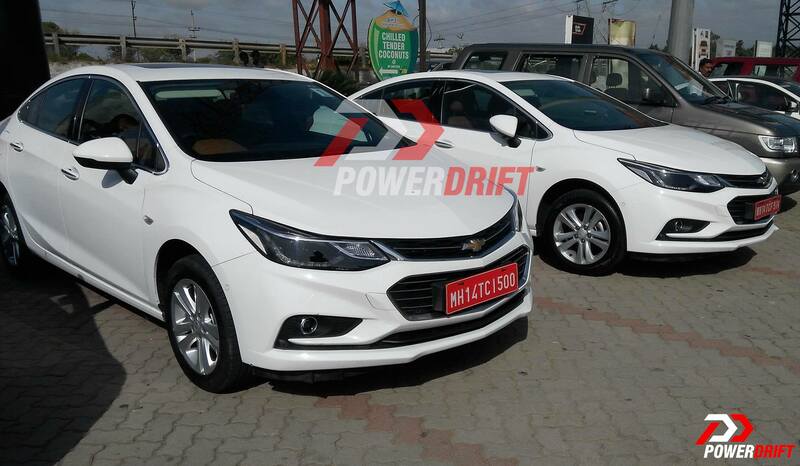 A couple of units of the 2017 Chevrolet Cruze were spotted recently in India with test plates. PowerDrift uploaded the images showing the two units finished in white parked next to a Tavera. This is just one of the cars we would've seen on Indian roads had General Motors not decided to pull the plug on Chevrolet cars in India. 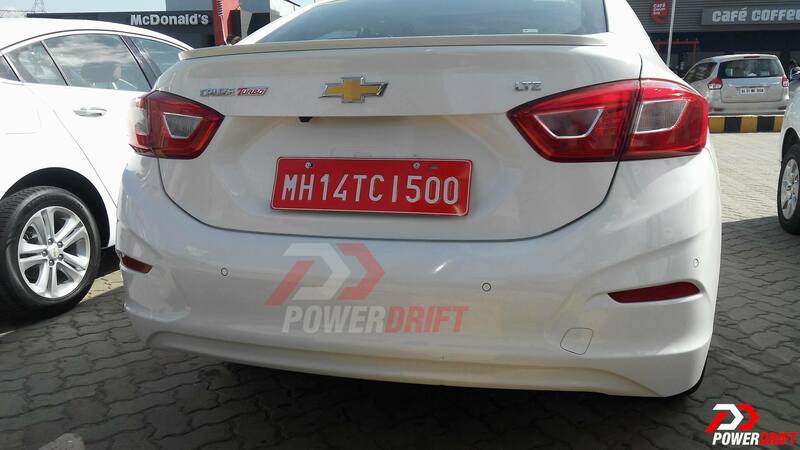 The 2017 Chevrolet Cruze was expected in India this year. However, all plans are canned as GM decided to wind up sales operations in India. Before you get your hopes up high, we point out that the units of the Cruze aren't meant for the Indian market. They are, presumably, undergoing testing for foreign markets to which GM is exporting cars from India. One of the cars in the pictures sports 'Cruze Turbo' badging on the top left of the boot lid. 'LTZ' badging on the top right signifies that this is the top of the line trim. The new generation Cruze was unveiled in June 2015 and was expected to arrive in India in early 2017. However, GM's decision to cease the sale of Chevrolet cars in India means the Cruze will never see the light of day in our market. In the North American market, the Cruze packs a 1.4 L Turbocharged Petrol engine delivering 153 hp and 240 Nm. Choice of transmissions includes a 6-speed manual and a 6-speed automatic. Diesel variants are powered by a 1.6 L 'Whisper Diesel' engine sourced from the Opel Astra sold in Europe. This engine produces 140 hp and 240 lb-ft of torque. It comes mated to a 6-speed manual or a 9-speed automatic transmission. The second generation Cruze utilises a new platform that makes it 113 kg lighter than its predecessor. In all probability, these cars are undergoing tests as part of the global testing and validation programs. General Motors currently operates the Talegaon plant in Maharashtra for manufacturing the new Beat and Essentia for exports to Latin America. Exports of the Essentia commenced in June. GM India's Halol plant and its assets will be taken over by SAIC according to reports to manufacture cars for the Indian market under the MG brand name.